This weekend we made a few mini pies and they were delicious! 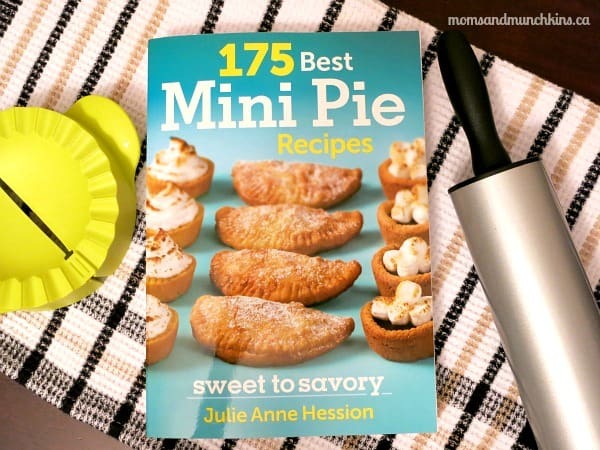 I love pizza pockets but I haven’t had one in years (we try not to buy a lot of processed frozen food) but the new 175 Best Mini Pie Recipes by Julie Anne Hession book provides many ideas for making your own type of pizza pockets. The book also shares mini pie ideas for breakfast, sweets, fruit and more. For these Chicken, Apple & Brie Turnovers, I cheated a little and purchased a tube of flaky rolls to use as dough. The flaky rolls worked great but I’ll also share the homemade dough recipe here in case you want to start from scratch. Filling: In a large skillet, melt butter over medium-high heat. Saute until softened, 4 to 5 minutes. Sprinkle flour over mixture, stirring to coat. Add water and reduce heat to simmer until thickened. Stir in chicken and simmer for 2 minutes. For the Pillsbury Flaky Rolls, there will be 5 rolls in the tube each cut into two pieces (10 pieces in total). On a cookie sheet sprayed with non-stick cooking spray, lay each roll flat and flatten out (stretching each slightly) with the back of a spoon. Place chicken mixture in center of half the rolls. Top each with 1 slice Brie. Top each with the other 5 rolls then pinch together edges to seal. You'll now have 5 turnovers in total. In a small bowl, mix the topping ingredients of melted butter, garlic powder and dried parsley. Spoon the topping evenly over all 5 rolls. Bake in preheated oven for 10-15 minutes until puffed and golden brown. Makes about 2 lbs (1 kg) of dough. Fit the paddle attachment on your electric stand mixer. In the bowl of the stand mixer, beat all-purpose flour, cake flour and salt until combined. Scatter butter over and mix at a low speed until butter is the size of lima beans. Add water and mix at low speed just until dough starts to come together (10 to 15 seconds). Transfer to a floured work surface and gently shape into an 8-inch square. Using a rolling pin, roll out into a 10 by 18 inch rectangle. Using a knife, lightly score dough lengthwise to make three 10 by 6 inch sections. Using a flat cookie sheet or large spatula, carefully lift right third of dough and flip it over onto center section. Repeat with left third of the dough, as if folding a business letter. Rotate dough 90 degrees so that the long (10 inch) side is facing you. You have now completed one turn of the dough. Lightly flour work surface to prevent sticking and reroll dough into a 10 by 18 inch rectangle. Give the dough a second turn by scoring into thirds and flipping over the right and left thirds as you did in the above step. Rotate dough 90 degrees so the long (10 inch) side is facing you. Repeat the above steps to make a total of four complete turns. Wrap tightly in plastic wrap and refrigerate for 1 hour. Transfer chilled dough to a lightly floured surface with the long side facing you. Give the dough two more turns. Rewrap in plastic and refrigerate for at least 1 more hour. There are so many recipes in here that would be perfect for parties for kids. Move over cake pops and make room for the mini pies! 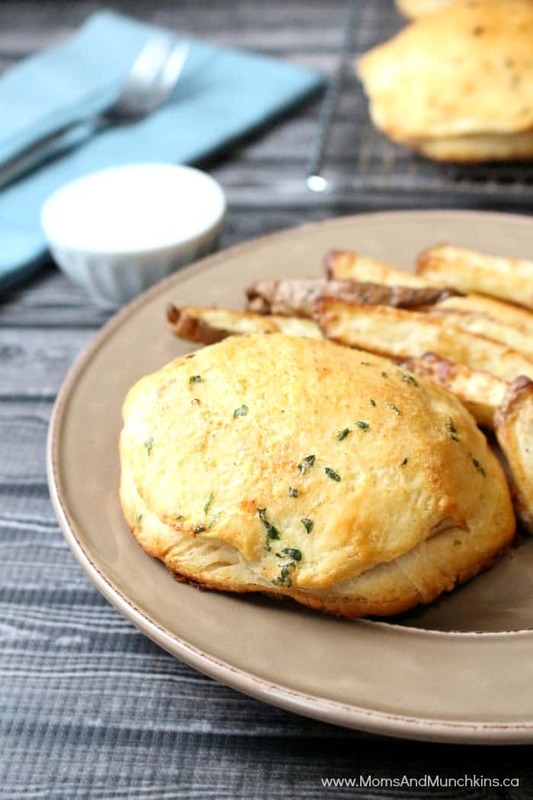 What kid wouldn’t love a buffet of homemade pizza pockets and bite-sized pies? To purchase your own copy of 175 Best Mini Pie Recipes, visit RobertRose.ca. Which is these mini pie recipes would you like to try? For more delicious recipe ideas, visit our special Recipes page. *Disclosure: I received a copy of this book in exchange for a honest review. All opinions expressed here are my own. MMMMMmmm Mini Pies…so convenient for the little ones! Great recipes thanks!! Yes, perfect for a little one’s birthday party. These look delicious and sized just right for toddler-sized hands! Me too! Mini means you can have more than one, right?! I love all these cute dinner ideas. I will have to look for this cookbook. Thanks for sharing at Simple Supper Tuesday. Small things are just tastier 🙂 Yum! They were super easy to make and tasty too! 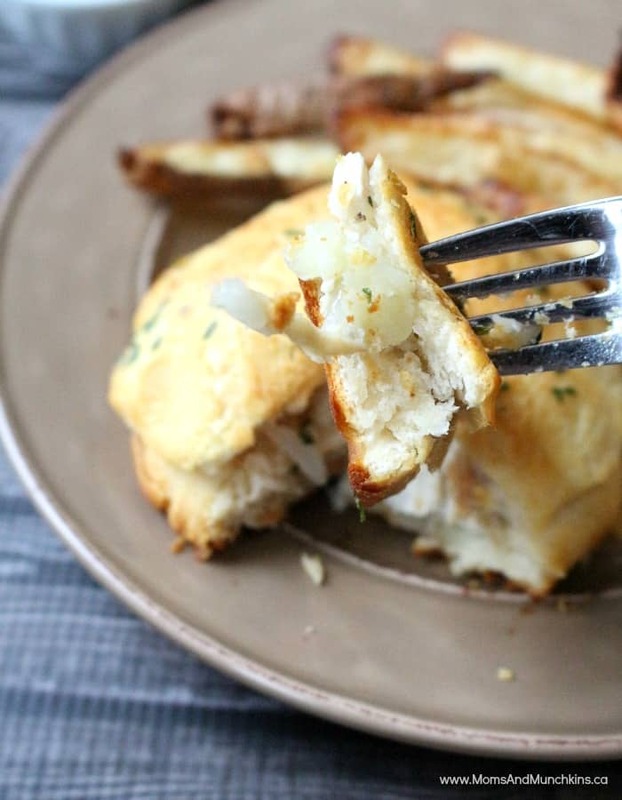 The Brie apple chicken turnovers look great! I can eat my body weight in brie. Found you at Wonderful Food Wednesdsay. I’m co-hosting Tasty Tuesdays and would love for you to link up this recipe. Thanks – I just popped by plus added to my list of weekly linkies to stop by. Thanks! I absolutely love the combination of apples and cheese, especially brie! Thanks for the great recipe! It was really delicious and wasn’t as difficult to make as I thought it would be. I hope you enjoy it! OMG those Grasshopper pies look to die for! Definitely will be pinning those to make very soon! Found your link at Link Love Thursday, sharing the Chicken, Apple & Brie turnovers but I immediately got sidetracked by the Grasshopper pies! LOL Thanks for sharing! Mint and chocolate is my favorite combo! Thanks for stopping by! Thank you for these great mini meal suggestions. They sound delish. Those look so darn tasty. And I am all about cheating and using the pre-made dough! How delicious does that sound? I am going to have to give these a try. What a great way to take Brie off the appetizer table and make it the main course! These look so good! We make our own Pizza Pockets too, eating try hard to eat things without all the additives!! We will have to try your recipe and see how everyone likes it. Thanks for linking up with Inspire Me Linky! Have a great week! !